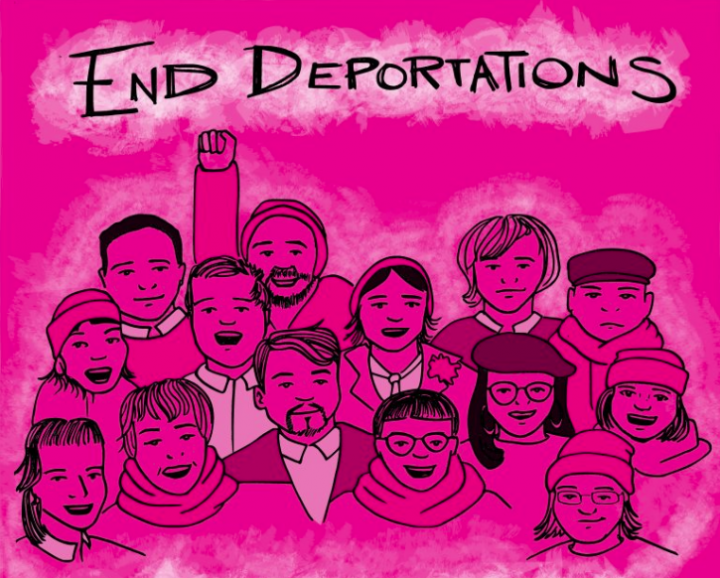 The Stansted 15, a group of anti-deportation protesters who blocked a government deportation flight last year, will avoid jail, with 3 set to be given suspended sentences and 12 set to be given community service. Sentenced today by a Crown Court judge, they learnt their verdict in December after a trial that lasted from 1st October until 10th December. The jury found all fifteen defendants guilty of intentional disruption of services and endangerment at an aerodrome under the 1990 Aviation and Maritime Security Act – a controversial use of terror-related law. Kate Allen, Amnesty International UK’s Director, said: “The decision not to jail these brave human rights defenders is a relief, but not enough. They should never have faced this very serious terrorism-related charge in the first place. They remain convicted of an offence which simply doesn’t fit their actions and this trial could have a dangerous chilling effect on peaceful protest in this country. The case of the Stansted 15 follows a trend across Europe of people acting for migrants and refugees who have been harassed, intimidated and criminalized for their acts of solidarity”. “The Home Office enforces a regime of asylum & immigration application which is brutal, racist, colonial and violent. They use destitution as a political tool, detention for people who’ve committed no crimes or served time for them if they have, deportation into situations of danger and countries people have no connection to. They seek to strip people of their dignity for the offence of seeking to exercise freedom of movement whilst being black or brown. In many cases people fleeing the war or climate disaster or poverty we caused in their countries of origin through colonial exploitation. In all cases, human beings who deserve our welcome, compassion and respect. We dream of a World Without Borders. Freedom of movement not just for Europeans & Westerners. Meanwhile, we call for the worst violence of the UK border regime to be stopped. Business as usual at the Home Office means death and gross injustice & we need to stop them”.